Eric van Hove. Mahjouba I (2016). Edition of 3. Mixed media: Middle Atlas white cedar wood, yellow copper, red copper, copper-plated forged steel, recycled aluminium, nickelled silver, tin, cow bone, camel bone, rubber, cow’s skin, batteries, plastic, magnets and resin. 44.49 x 78.74 x 27.56 in. / 113 x 200 x 70 cm. Richard Taittinger Gallery in New York will host an exhibition, titled ‘Ethics in a World of Strangers’, featuring artists Nirveda Alleck and Eric van Hove, on view from April 25 through June 11, 2017. The exhibition brings together works by Mauritian artist Nirveda Alleck (b.1975) and Algerian artist Eric van Hove (b.1975), presented in a dialogue discussing the values of fraternity, empathy, and worldliness, based against the backdrop of resurgent nativism, nationalism, and xenophobia which currently outline the global political landscape. Included in the exhibition are a selection of large-scale paintings and video from Nirveda Alleck’s ongoing series ‘Continuum’, that considers notions of identity, self, and the body, derived from the artist’s decade long photorealistic works across USA, Middle-East, and Africa. 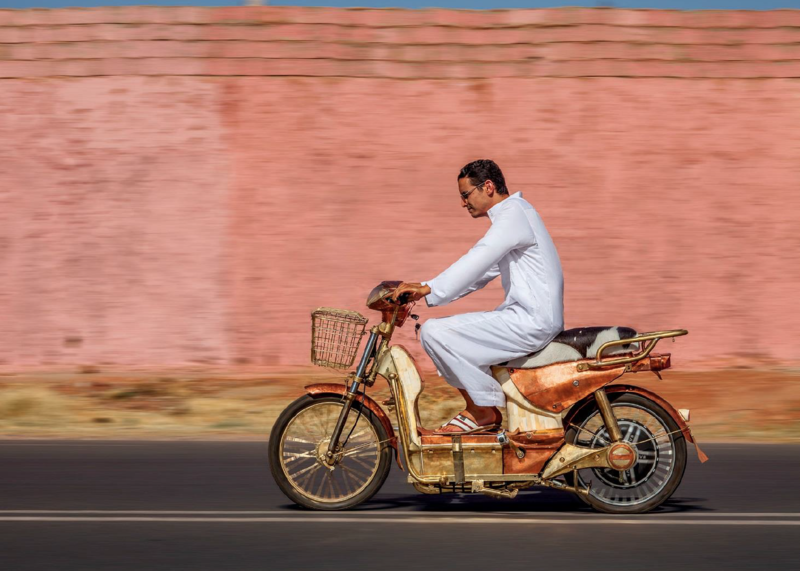 Also included are exact replicas of motor engine parts and a fullblown motorbike, created by Eric van Hove, in collaboration with Moroccan craftsmen in his studio in Marrakesh. Both these artist’s works represent a sense of utopia, that simultaneously includes and excludes the physical, mental, and conceptual boundaries of different cultures.